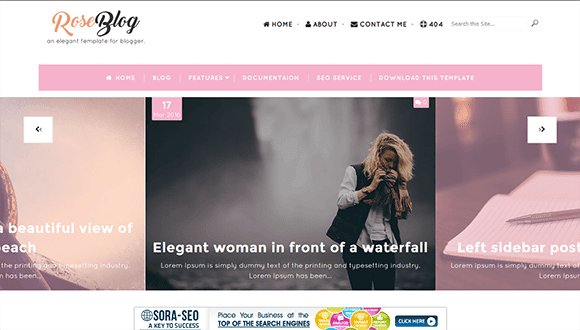 Description: Rose Blog Blogger Templates is inspired by the latest trends in web design, Rose Blog is an elegant Blogger beauty theme. With lots of active negative space, Rose Blog’s design helps guide eyes to your content. Use it for travel, fashion, lifestyle blogs or anything else you can think of. It’s super easy to customize. Give Rose Blog a try and we bet you’ll love it.